Imagine pitting an ancient medical art from the East against a 20th-century auto-immune disease ravaging the West! This alternative health option is now an evidence-based standard for alleviating chemotherapy-induced nausea and vomiting. 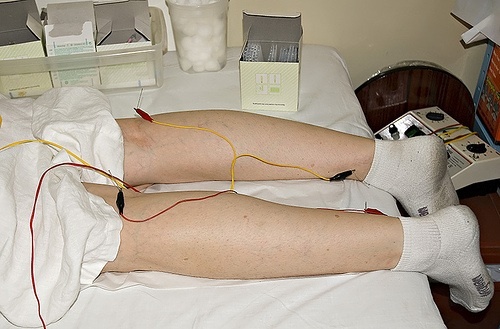 Oddly, acupuncture also effectively relieves pain. Under the guidance of your primary physician, you may want to include acupuncture in your toolbelt as you work toward optimum health. When it comes to living with cancer, there's a good list and a bad list of nutritional choices. Omega-3s; plant-based diet, particularly cruciferous veggies like broccoli and Brussel sprouts head the good list. Ginger, turmeric, garlic and onion all boast anti-inflammatory and anti-cancer properties. Then, there's green tea (5 or more cups per day). The bad list: refined carbohydrates, red meat and dairy (which contains hormones), char-grilling and other high-heat methods, as they boost meat's carcinogenic compounds. Alcohol consumption can increase estrogen and is a risk factor for breast cancer; limit to a glass a week. Because of soy's phytoestrogens, "Women who have estrogen-receptor-positive breast cancer should avoid it," cautions Dr. Abrams. If you do eat soy, choose whole forms like soybeans, tofu, and tempeh. health benefits of different therapies, follow this link. Support groups improve insomnia, depression, anxiety and stress by women gaining sense of empowerment. Referring to female cancer patients, Alyson Moadel observes, "You may lose your hair, have hot flashes, sexual dysfunction, joint pains and fever. And you can be 25 and going through it." Also, note the effects of belief: combined with breathing and meditation, spirituality reduces stress, and gives patients a means to deal with emotional challenges. 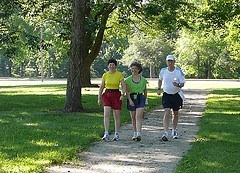 Exercise boosts survival rate in those diagnosed with cancer if they walk at least three hours per week. Those who do aerobic exercise during radiation are less likely to develop low red blood cell counts. Shoot for 30-60 minutes of moderate intensity on most days. For breast cancer patients--who are prone to bone metastases--include bone-building resistance exercises. Beware! Some are contra-indicated with certain types of cancer...or by where you are in your treatment progress. Always work closely with an experienced practitioner. With that said, ones to look into: Melatonin, alpha-lipoic acid and vitamin B12, Co-enzyme Q10 (may protect heart from radiation damage)mushroom extracts (turkey tail, reishi, maitake and shiitake); astragalus and turmeric. As you can see, there are many healthy alternative solutions! Make the best use of your primary caregiver's knowledge as you continue in your search. I hope you find the answers for which you look. Return from Cancer Treatment Details to Home Page.